Even the lightest hearts have shaded corners to hide the black thoughts that come at night. Experience the darker side of YA as 13 authors explore the places that others prefer to leave among the shadows. 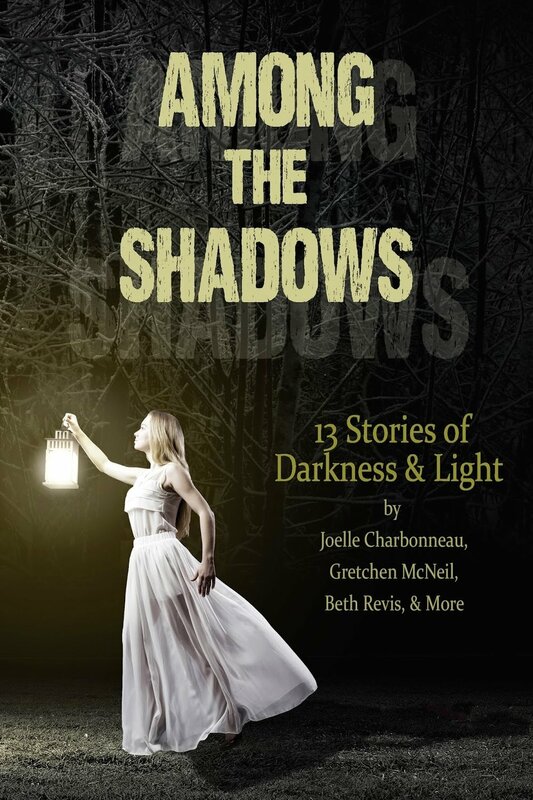 Among The Shadows is a young adult anthology with stories selected and edited by Demitria Lunetta, Mindy McGinnis, and Kate Karyus Quinn. Contributing authors include: Beth Revis, Gretchen McNeil, Joelle Charbonneau, Phoebe North, Kelly Fiore, Lenore Appelhans, Justina Ireland, Lydia Kang, R.C. Lewis, Geoffrey Girard, Kate Karyus Quinn, Demitria Lunetta, and Mindy McGinnis.